President Joseph Kabila signed a new mining code into law on Friday. 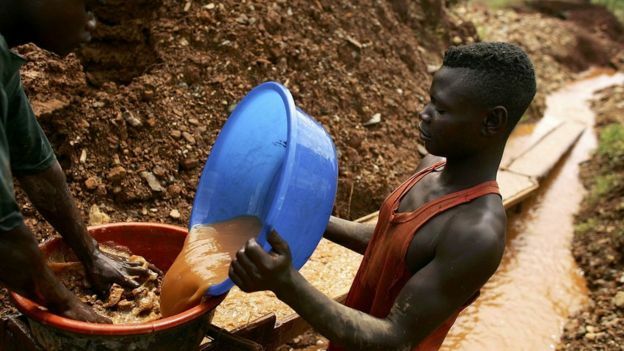 The country is Africa's biggest producer of copper and cobalt, a vital component in mobile phone batteries. Foreign mining firms strongly opposed the law, saying their operations in DR Congo would stop being profitable. Several chief executives flew to the Congolese capital Kinshasa this week in the hopes of persuading Mr Kabila to change his mind. They argued that the legislation would deter future investment and violate existing agreements, reported Reuters news agency. The government however has agreed to consider their concerns on a case by case basis, and work with them in executing the new code. Its mining industry - which also produces diamond, tantalum, tin and gold - is the country's largest source of export income. The law, which was passed by parliament in January, will double government royalties on all minerals. The impoverished yet mineral-rich nation provides more than 60% of the world's cobalt. Prices for it more than doubled last year thanks to an increased demand for electric cars, which require cobalt for batteries. Royalties on cobalt could also more than quadruple if the government labels it a "strategic substance".